Last week, I had the wonderful opportunity to learn how to glue on boots courtesy of Rusty Toth. This was an amazing learning experience and although I was familiar with the gluing protocol, there really is nothing like hands on learning. Lesson number one is gluing can be a messy ordeal. Wearing old clothes and using plenty of non-powdered latex gloves are absolute musts. Preparation is also important. In addition to the Easyboot Glue-On boots you will need: a rasp, a wire brush, a rubber mallet, Sikaflex and a caulk gun (one tube will glue approximately 6 boots), Adhere, a Vettec Gun and Mixing Tips (one tube will glue approximately 4-6 boots), and a heat gun. 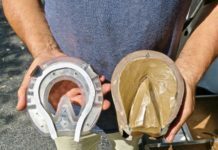 There are three main components to gluing on boots: 1) preparing the hoof, 2) preparing the boots, and 3) applying the boots. Although gluing can be done solo, in my opinion it is really a two person job. If you are new to gluing I highly recommend working with an experienced mentor. Thoroughly pick out the hoof. Use the side of the rasp at an angle to rough the bottom 2/3 of the hoof. Don’t be tentative – this is crucial and if you are not breaking a sweat you aren’t doing it right. This part was much more labor intensive than I imagined. Wire brush all hoof surfaces. Use a heat gun to dry the hoof. 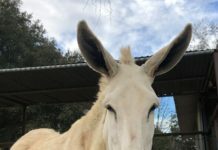 This is very important in moist climates to ensure there is no excess moisture in the hoof, however we didn’t use one in the oven that is Tucson. Rusty Toth roughing the outer hoof wall. 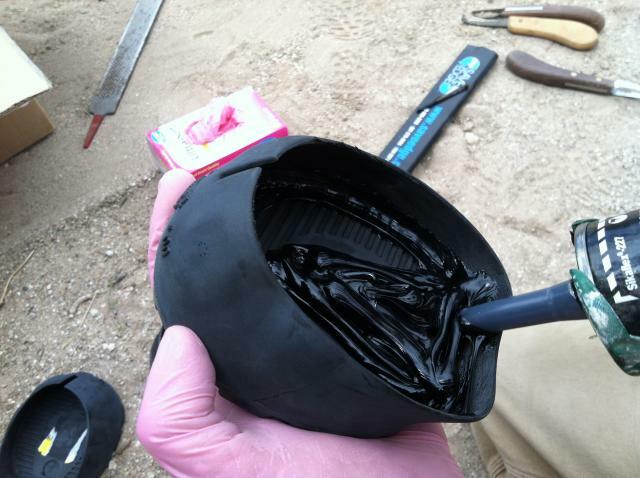 Don’t touch the inside of the boot without gloves – the oils from fingers can compromise the glue bond. Apply Sikaflex around the bottom edge of boot and in the frog area. Keep Adhere out of the sun. Adhere is a fast setting adhesive and the warmer it is, the faster it will set. Be ready to put the boot on right after Adhere is applied. To apply Adhere, hold the boot with the toe facing your fingertips – in this position it is easier to tilt the boot which prevents the Adhere from running. Hold the mixing tip parallel (not perpendicular) to the boot. This allows for an appropriate amount of Adhere to be distributed evenly. Apply Adhere along the top edge of the boot from approximately the 8 O’clock position to the 4 O’clock position. Do not use Adhere at the rear of the boot. Sikaflex is applied along the bottom edge and in the frog area. 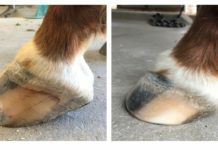 Hold pastern joint between knees so that you can really work the boot into place. Seat the toe with a rubber mallet (don’t be shy with your whacks). 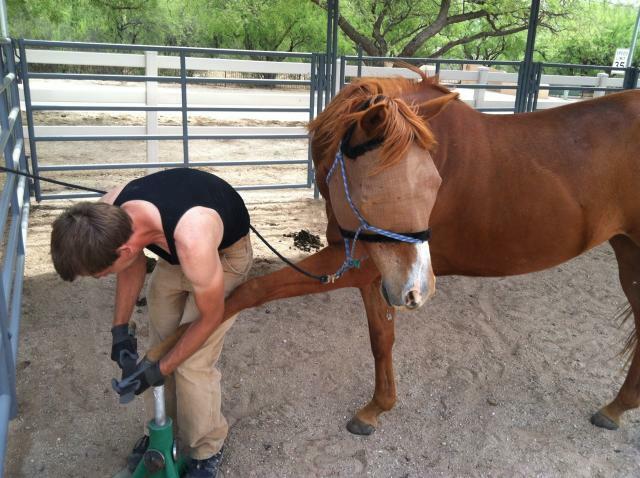 Hold up the opposite leg for approximatly one minute while Adhere sets so the glued hoof is fully weight bearing. Seal the top edge with Adhere. My first Glue On! (In all honesty it’s my fourth…Adhere ended up on the fetlock on the first three). 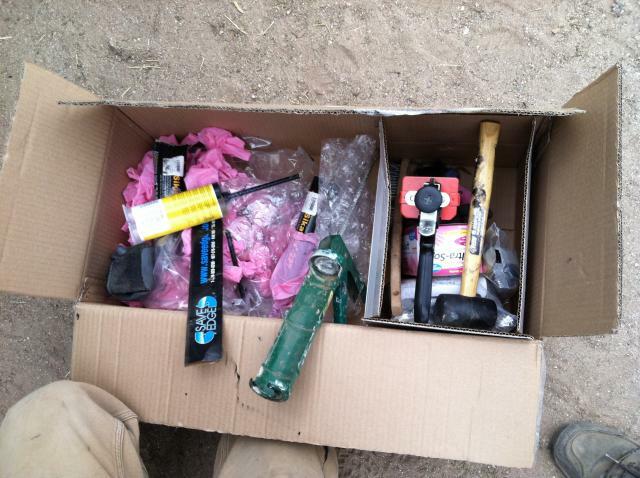 Have extra equipment available (boots, glue, tips, etc). Use nippers to cut the Adhere tip evenly – this allows for even mixing. Don’t be frantic. 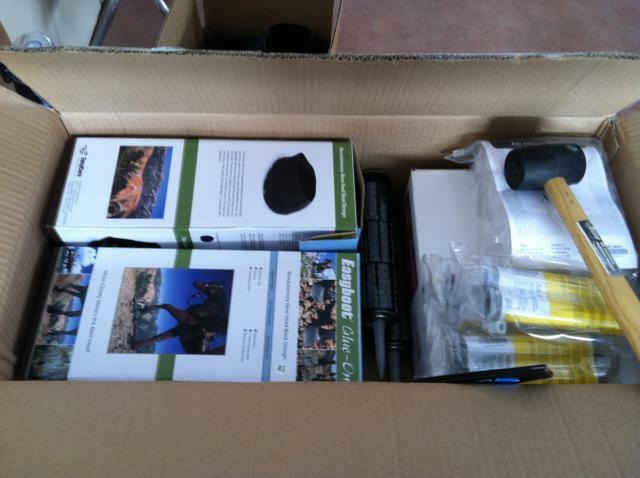 Although Adhere sets fast, don’t stress too much about the setup time (unless it’s 100 degrees). I was rushing to get the Adhere out and the boot on and this can result in an inconsistent Adhere dispensing. Set the hoof down slowly. Remove the latex glove before picking up the opposite leg. 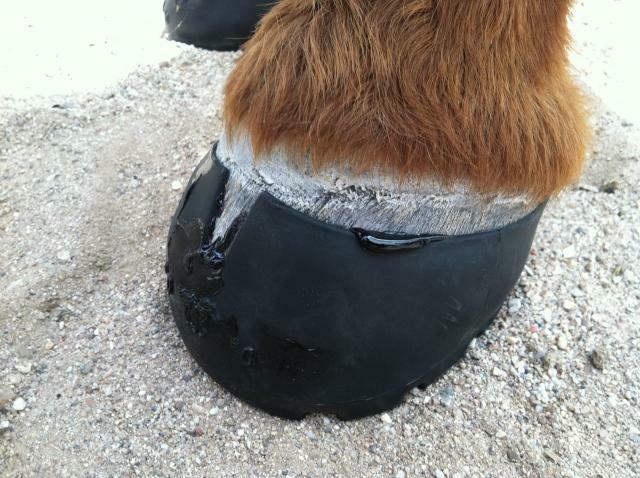 This minimizes the chance of glue on the horse’s leg. When gluing hinds, pick up the front on the same side. Many thanks to Rusty for showing me the ins and outs of gluing boots!